I’m Central to Nowhere and I Am Unreachable. That’s a combination of two lines from two songs from the album The Empyrean by artist John Frusciante, who is basically one of the greatest guitarists of all time. This album came out in 2009 and has been something I listen to almost every day. It’s a great album to listen to and just be able to relax and maybe take a nap. If you’re looking for meaning in the words, then it’s more intended to be interpreted in one’s own way. 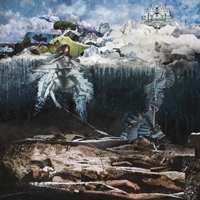 John Frusciante himself states that the album doesn’t tell a clear story. It doesn’t take place in the physical world. There is a clear topic of heaven, as the “Empyrean” refers to the highest point in Heaven. The album is great, although not very popular; it is great for those days when you’re down or you just need some inspiration. And for the ignorant atheist who doesn’t believe in heaven, it’s art! Calm down. This whole album is available on Freegal.com through the SPL website.